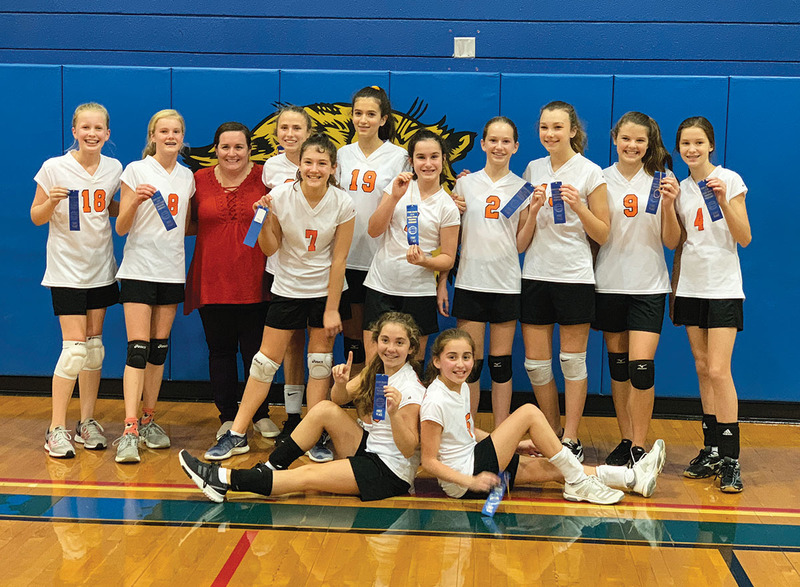 The Memorial Middle School (MMS) seventh-grade volleyball A team (pictured) won its district tournament. On the way to becoming champions, the Lady Eagles defeated Spring Woods Middle School, Spring Forest Middle School and Spring Branch Middle school, each in two sets. The win over Spring Branch was a sweet victory because the girls lost to them during the regular season. Each of the MMS players stepped up with strong performances on the court, resulting from their hard work during practices and earlier games. The tournament champs are (top row, from left) Ashley Jones, Emma Samuelson, coach Lauren Amedee, Charlotte Hardig, Deveny Gilmore, Sonia Rio, Meryl Schwertner, Chloe Popkin, Emma Dunwoody, Hailey Tacker, Sophie Corbeil; (bottom row, from left) Payton Long and Izzy Rodriguez.